I hope yours is looking sunny! I think we’re supposed to have rain and cool weather today, but the forecast for the next ten days or so looks to be in the mid-70’s… bring on the warm weather! 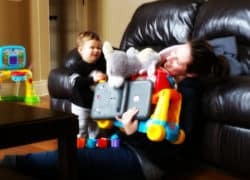 I’m hoping to play catch up today with a lot of stuff around the house and get some couch time in! What are doing? And what are you eating?! 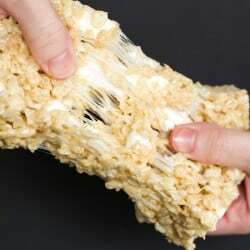 Ultimate Bakery-Style Rice Krispie Treats – These Rice Krispies treats are huge, perfectly gooey, and even have some non-melted marshmallows mixed in! 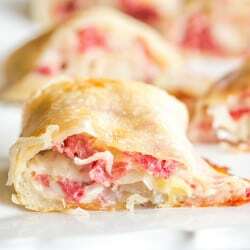 Reuben Rolls – These reuben rolls feature pizza crust stuffed with corned beef, Swiss cheese, sauerkraut and a caraway-seed dressing. They will disappear in a matter of minutes! 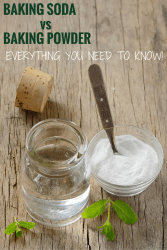 Baking Basics: Baking Soda vs. Baking Powder – Everything you need to know about the differences between baking soda and baking powder, and why each one is used. 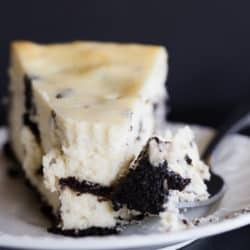 Oreo Cheesecake – This is THE BEST Oreo cheesecake you’ll ever make! A perfectly smooth and creamy cheesecake loaded with chunks of Oreo cookies. Friday Things – Ultrasounds, cereal, ice cream, pantries, tomato sauce, and more! It’s my brother-in-law’s birthday on Monday, so he picked the menu for this week! Now THIS is a coffee drink I can get behind! I still haven’t made my own barbecue sauce, but my local grocery store sells a pineapple version I was using for pulled chicken a couple of years ago, and it was DELICIOUS. Can’t wait to give this one a try! These look amazing! There are recipes for the pulled pork, cole slaw and a homemade barbecue sauce! Oh my gosh. As a serious peanut butter lover, I can’t get this out of my head! Must try! This weekend is pretty laid back, although there’s excitement as it’s bookended by the Penguins. So good to see Flower back between the pipes. Happy Early Birthday to your brother in law – love having fajita’s for dinner. I too need to do a lot of cleaning today and hope to get some couch time too…the Blues are playing later today so hopefully I will not stress out because we really need to win today! That no-bake banana split cake is officially my daydream for the day.